Contains Barnett Formula� Centering as featured in Pilates Style Magazine! Muscular tightness can begin in the mind. The root cause may be illness, surgery, accidents, abuse, emotional trauma, daily stress, poor movement habits, or even one's choice of sport or fitness. The Chakra Rocking Massage clears and opens the chakras, causing energy to move more freely throughout the body. Hence, muscular tension dissipates, and tissue health, suppleness, and posture are improved. To this key exercise, Larkin adds simplified breathing techniques drawn from both Eastern and Western traditions as well as visualizations. Likening the experience to creating a favorite meal, she provides "recipe cards" for each exercise, focusing on the ingredients of color, location, life lesson, natural elements, physical senses, emotions, and affirmations. Strengthening our mind/body connection in this way is the ultimate immune booster, improving circulation for better tissue nutrition and metabolism. The body acts like a natural pharmacy as it flushes away waste products more thoroughly. Altogether, the tools in Practical Centering can lead to a life of more vitality and ease. It's a great little book to pack in your suitcase or back pocket. The exercises take only minutes and can be done easily at home, at work, or wherever you happen to be. Larkin Barnett is a movement education speaker, Pilates/yoga instructor, professor, movement therapist, dance choreographer, and personal fitness trainer. She holds five Pilates certifications, including two Golf Pilates specializations. In the eighties, Larkin worked as Professor of Dance at Virginia Commonwealth University. From there, she went to Canyon Ranch Spa and became a movement therapist and fitness professional. Throughout her career, has also enjoyed teaching, choreographing, lecturing, and performing for organizations such as Harvard University, Longy School of Music, Four Arts Society Library and the University of Lappennranta, Finland. In 2007, Larkin was chosen as a President's Challenge Advocate for the President's Award's Program, part of the President's Council on Physical Fitness and Sports. She is the author of Practical Pilates: Using Imagery, Pilates and Calisthenics for Children, Creative Yoga for Children, and On a Lark! Creative Movement for Children. 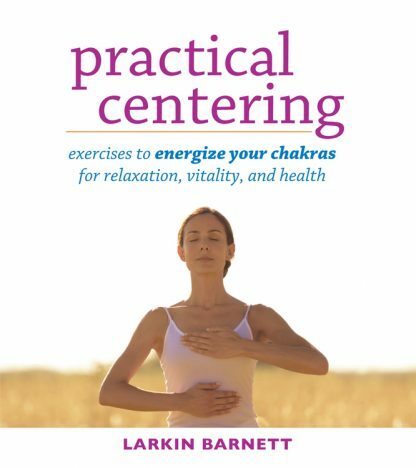 Currently, Larkin provides movement education and breathing workshops for adults and children, as well as stress management programs for national fitness conferences, certification organizations, hospitals, corporations, universities, spas, athletic clubs, physical therapy clinics and ballet companies.